If you’re interested in building your Mercedes-Benz fleet, you can save by purchasing through the Mercedes-Benz Corporate Sales and The Mercedes-Benz Star Access™ Programs. Whether you’re shopping for your thriving business, or you’re a member of one of our valued Mercedes-Benz affinity partners, you can enjoy special benefits when shopping for new Mercedes-Benz commercial vehicles. To learn more about each program, feel free to contact our Mercedes-Benz dealership near Middletown, NJ. Does your business utilize its own source of funding and have 3 or more vehicles? If so, you can enroll in the Mercedes-Benz Corporate Sales program to enjoy the full incentive offers ranging from $1,000 to $7,000. These upfront savings, plus a very strong and competitive back-end residual, combine to provide you an extremely low cost of ownership. To enroll in the Mercedes-Benz Corporate Sales program, you’ll have to apply for a Corporate Account Number (CAN). The company must have 3 or more vehicles currently registered in the company’s name, and you must have copies of the registration cards to email or fax. If you’re a member of a valued Mercedes-Benz affinity partner, you can enjoy a variety of benefits when buying new Mercedes-Benz fleet vehicles. Some of these partners include Morgan Stanley, the American Medical Association, the American Bar Association and more. 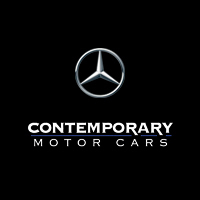 You can check online or contact Contemporary Motor Cars to see if your company qualifies. Visit our New Jersey Mercedes-Benz dealer now to learn more about the Mercedes-Benz Fleet Programs. Test-drive new Mercedes-Benz vans and find the right new luxury vehicles for your business fleet!